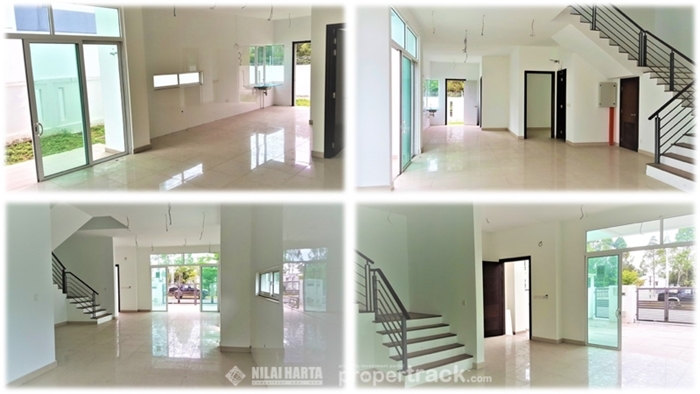 0126978178 BU 3959 sf Suria Villa Bandar Sungai Long Kajang Selangor for Sale pid=1345. 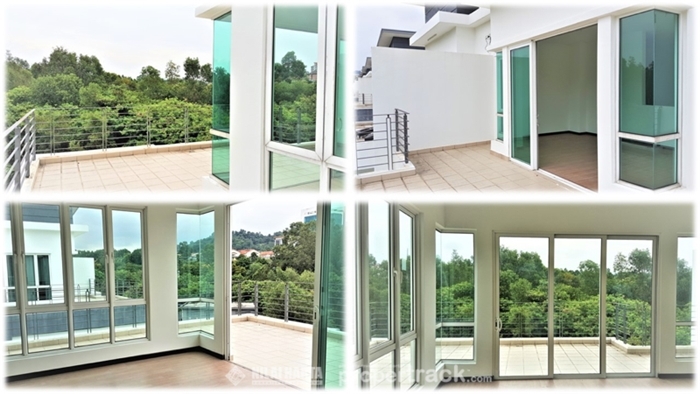 For Suria Villa Bandar Sungai Long Kajang Selangor Property Properties Terrace Terraced House for Sale Rent Rental Rentals Lease and to Buy Sell Sales enquiries, telephone the Property Desk on (+60) 03-2032 3168 / Duty Handphone (+60) 012-697 8178 or simply click on the blue propertrack Malaysia Nilai Harta Consultant Sdn Bhd Contact Agent link below. BRAND NEW & SPACIOUS 3-storey Semi-D in residential location offering family accommodation in Suria Villa, Bandar Sungai Long of Kajang. The house was built and completed in 2014. The gross built up area of 3,969 sf ft with land area of 2,798 sf ft, to include a living room, dining room, kitchen, yard, family hall, 6 bedrooms + 1 guest room with en-suite bath each, 1 maid’s room with a bath room, roof terrace and car porch coupled with manned guarding and patrolling security within Suria Villa. 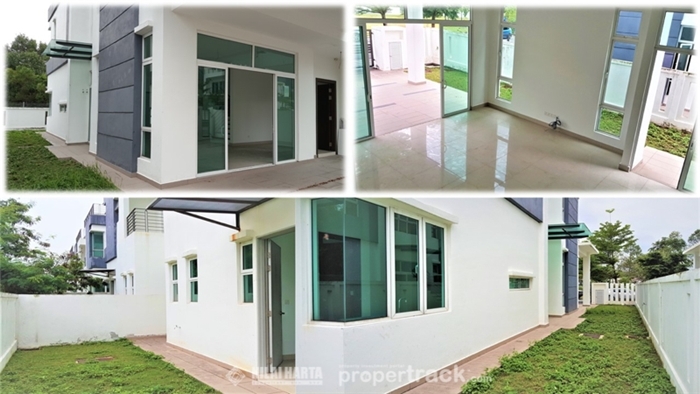 The 3-storey Semi-D landed property is located Jalan Suria Villa within Suria Villa, neighbouring the matured community and established residential development of landed homes, apartments and condominiums. The neighborhood is situated near to Taman Rakan, Surian Tropika Homes, Bukit Suria Bungalow, Taman Bukit Suria 2, Bandar Sungai Long and Bandar Mahkota Cheras, offer accessibility to hypermarkets, major highways and interchanges, MRT stations, schools, UTAR as well as hospitals such as Putra Specialist Hospital Kajang and Sungai Long Medical Center. 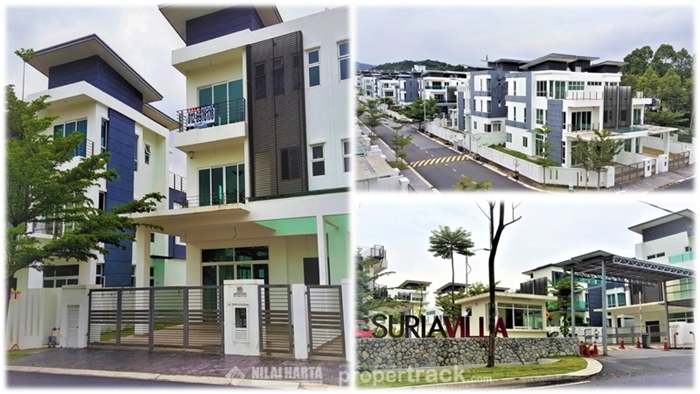 Suria Villa is a guarded and gated development at Bandar Sungai Long, developed by Rapat Sutera Sdn Bhd, a private and small-scale property developer that focus on landed housing estate. The development covers a vast land of 8.1 acres residential area of a limited number of landed properties, to include sixty (60) 3-storey semi-detached homes and three (3) bungalows. The built-up area of the semi-detached homes range from 3,959 to 5,031 sq ft, built on land area from 2,798 to 4,284 sq ft. There are 5 different designs and layouts for semi-detached homes. 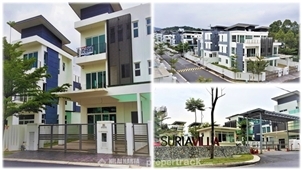 The built-up area for bungalows range from 5,059 to 5,292 sq ft (with 3 different layouts) built on land area from 5,048 to 6,738 sq ft.
Suria Villa @ Bandar Sungai Long is a highly sought-after housing area due to its accessible location and exclusive low-density living environment. 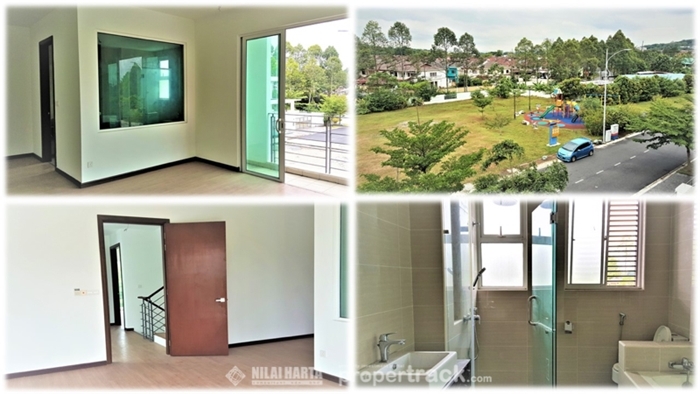 It is only 20km away from the Central Business District of Kuala Lumpur (CBD), 7km to Kajang town via highways of Cheras-Kajang, 12km to Seri Kembangan and 23km to Putrajaya, the administrative capital of Malaysia via the Kajang SILK Highway.